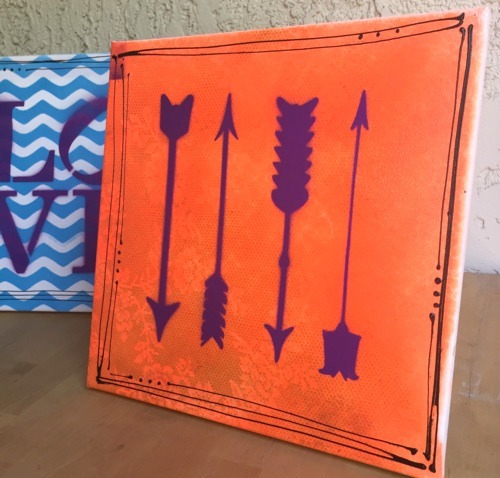 I have a thing for spray paint and stencils (doesn't everyone and their madre? Right?). 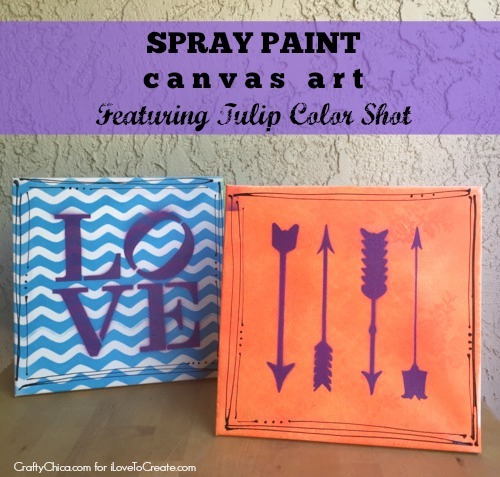 So when I came across these new Tulip For Your Home stencils AND the new Tulip Color Shot Instant Fabric Color - I went to town making canvas art for my friends! Click below to see how I did it! 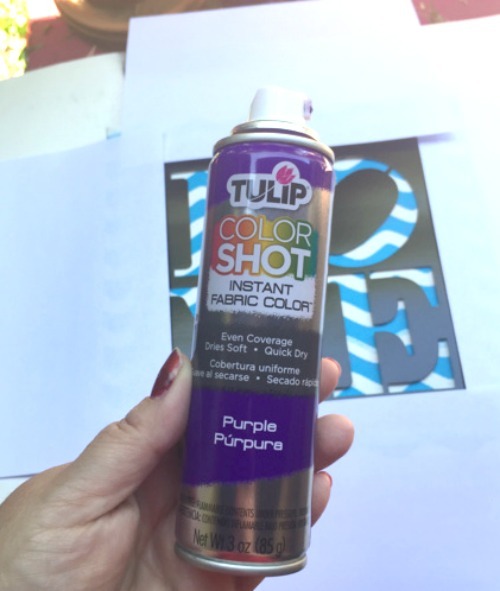 First up - my personal collection of Tulip Color Shot Instant Fabric Color! 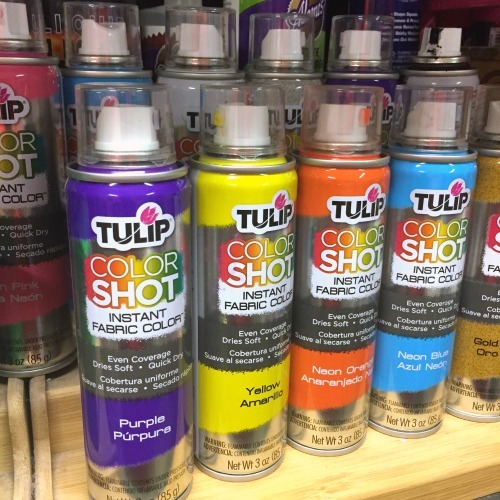 It's fun stuff - easy to spray opaque color! 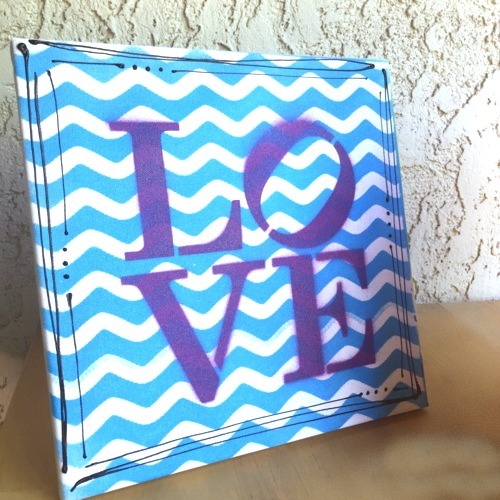 Here, I put a piece of lace over a blank canvas and used Neon Blue. 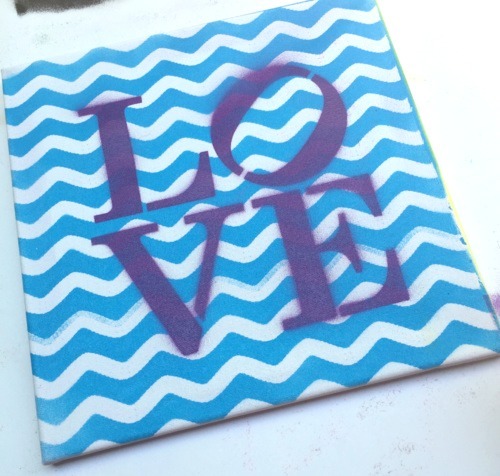 I let that dry, and then I picked out a stencil. 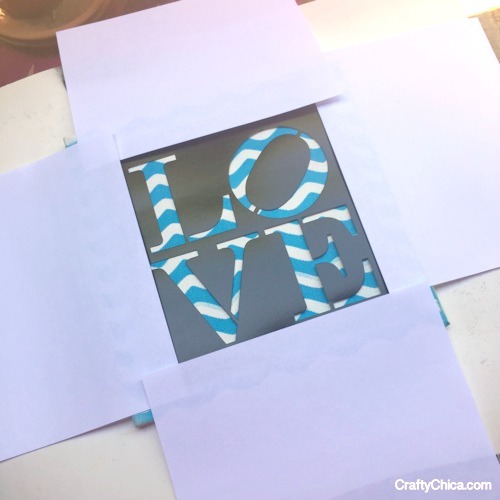 Make sure to tape paper around the edges of your stencil so overspray doesn't happen. 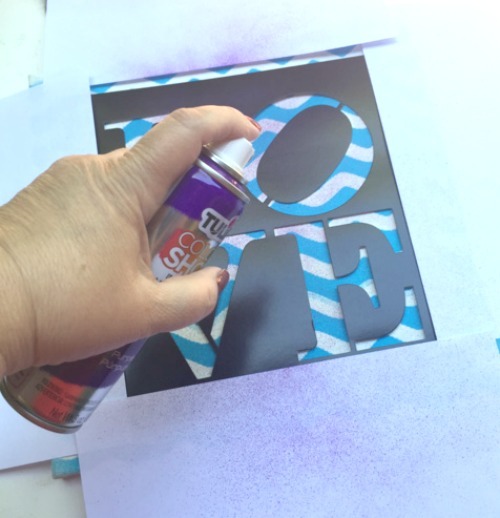 Shake well - make sure to do this project outside, not inside - and then spray in even coats over the stencil. Pell off the stencil and there you go! To finish these off, I outlined the edges with Black Puffy Paint. Thanks, have a great day! Don't forget to follow me on Vine, Snapchat, Twitter, Instagram, Pinterest, Periscope, and YouTube as @CraftyChica ! This is so cool, too bad spray paint is illegal where I live.